In a VOA Afrique (Voice of America Africa) radio interview broadcast September 4, 2018 (media player below), Fr. Ferdinand Muhigirwa, who is President of Universite Loyola du Congo (Loyola University in the Congo) discusses SMIN CEO Dr. Sandrine Mubenga (PhD, PE) along with her work as a pioneer and role model for today’s Congolese students. He also describes the various majors offered at the University. These majors revolve around science, technology, engineering, agriculture, math, and social sciences. Fr. Ferdinand reports that a June 2018 conference in Kinshasa DRC was organized by the University so that Dr. Mubenga could share her latest research on battery technology. Dr. Mubenga is an expert in renewable energy, especially Solar Energy and Utility Scale PV. Her studies in a Jesuit scientific high school before proceeding to become a globally recognized Electrical Engineer working in green and renewable energy for Africa places her in a position where many Congolese students look up to her as a role model. According to Fr. Ferdinand, over 500 students from 4 different schools were inspired by her example and now want to study in STEM because of the importance of this field in the future economic and social development of the country. Dr. Mubenga is not only SMIN Power Group CEO, but is also a Professional Engineer (PE) and Professor of Electrical Engineering at the University of Toledo, in Toledo, Ohio, USA. Dr. Mubenga would like to express her gratitude for the honor extended to support STEM Education for girls in this way. SMIN Power Group LLC works to bring electricity to Africa and other under-served populations around the world. The company has headquarters in Kinshasa DRC and in the USA. SMIN Power Group provides Solar Power Engineering Services for residences, businesses, communities, or villages. Specialties include Solar Power Systems Design and Installations, Power Management for Homes, Commercial Buildings, even Utility Scale PV. The company is proud to sponsor STEM Scholarships for African students. See SminPowerGroup.com Home Page to learn more. Universite Loyola du Congo is a new Jesuit University which grants priority to girls. They are working with other universities in the US and France to collaborate on curriculum development so that the degree has international recognition. They are in the process of being certified by ABET. Fr. Ferdinand stressed that 25 per cent of students at the University are women and that they show a keen interest for STEM. Loyola University in the Congo has scholarship available. 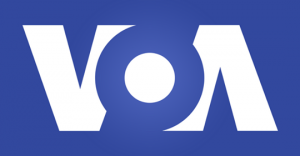 VOA Afrique is the French-language service of Voice of America (VOA). VOA began broadcasting in 1942, is an international multimedia service funded by the US government through the Broadcasting Board of Governors. VOA broadcasts about 1,500 hours of information, cultural and educational programming each week in 47 languages ​​for more than 230 million listeners, viewers and readers on the internet. As many as 98% of all scientists agree that Global Warming exists, is man made, and is caused largely by CO2 emissions from the combustion of carbon based fossil fuels. These carbon based fuels include coal, oil, and others used in industry and energy production in developed countries. Global warming is producing changes in temperature and weather patterns all over the world, leading to melting icecaps in polar regions as well as other traditionally frozen lands such as Greenland. Elsewhere, weather and growing seasons are changing, with drastic consequences to humans, animals, and plants including crops. Many regions of the world are suffering from dramatic weather changes including floods, droughts, animal migrations and crop failures as a result of Global Warming. Green and renewable energy strategies can reduce the impact of Global Warming over time by respecting the environment. They replace those activities that generate CO2 with ones that do not. These strategies are important in helping the world at large to address Global Warming and Climate Change.